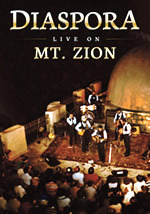 Special Chanukah Sale on the Diaspora “Live on Mt Zion” DVD. Buy 1 get 1 free with free shipping to anywhere around the world. $19.99 for 2 DVDs plus free shipping…. Happy Chanukah! CLICK HERE TO READ REVIEW!! !